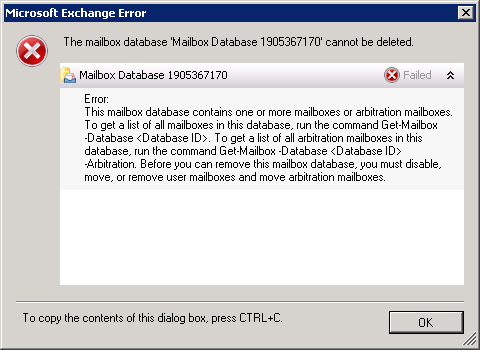 When you have a new installation of Exchange 2010 Server and you want to move all mailboxes, including all hidden Mailboxen (Arbitration) from the default database store to a database that you created. Here is how i did it. This gives a different result.